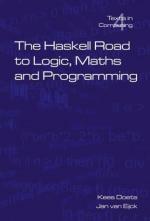 Haskell emerged in the last decade as a standard for lazy functional programming, a programming style where arguments are evaluated only when the value is actually needed. Functional programming is a form of descriptive programming, very different from the style of programming that you find in prescriptive languages like C or Java. Haskell is based on a logical theory of computable functions called the lambda calculus.